AAUW NC is a member of the North Carolina Women United coalition. Earlier this week, NCWU held its annual holiday event. 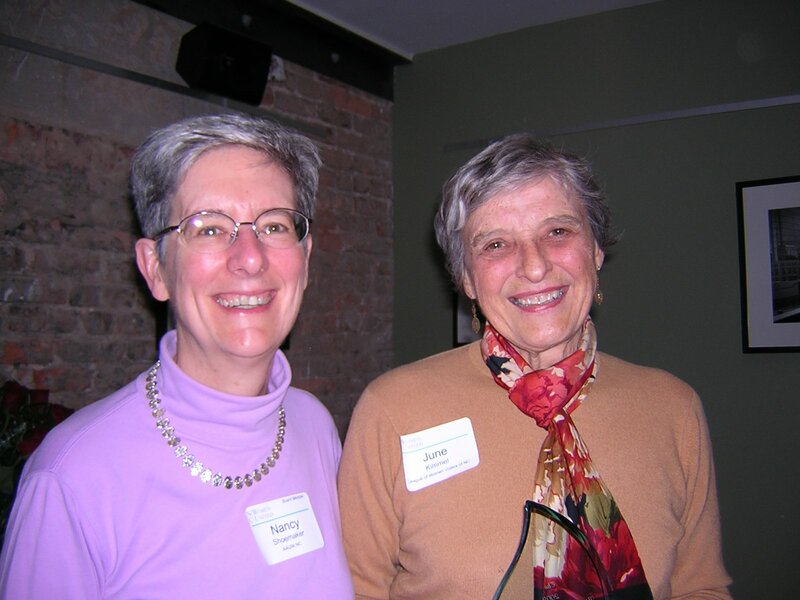 At a gathering of 25 people from more than a dozen organizations, they gave the 2009 Anne Mackie Award to June Kimmel of Davidson. 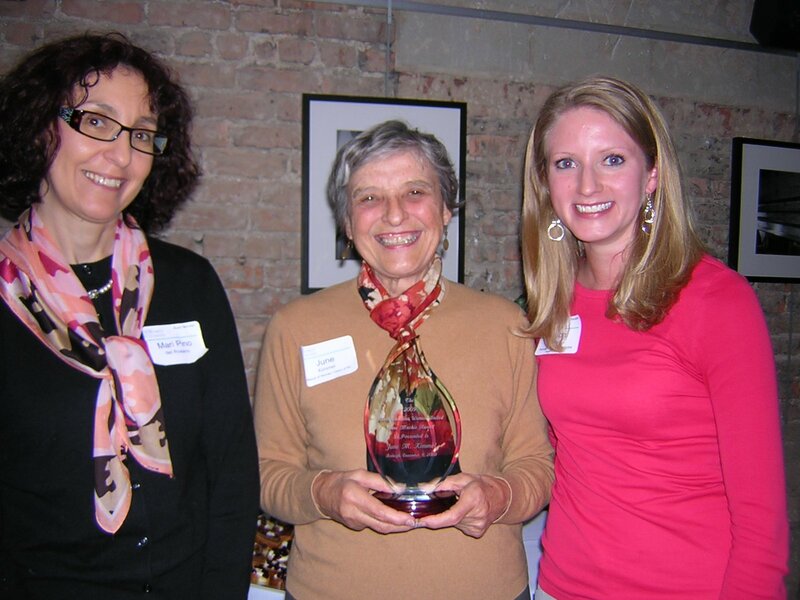 The award recognizes a lifetime contribution to advocacy on behalf of women. Branch member Mari Pino del Rosario chaired the award committee. She is shown here with June and NCWU President Alison Kiser. 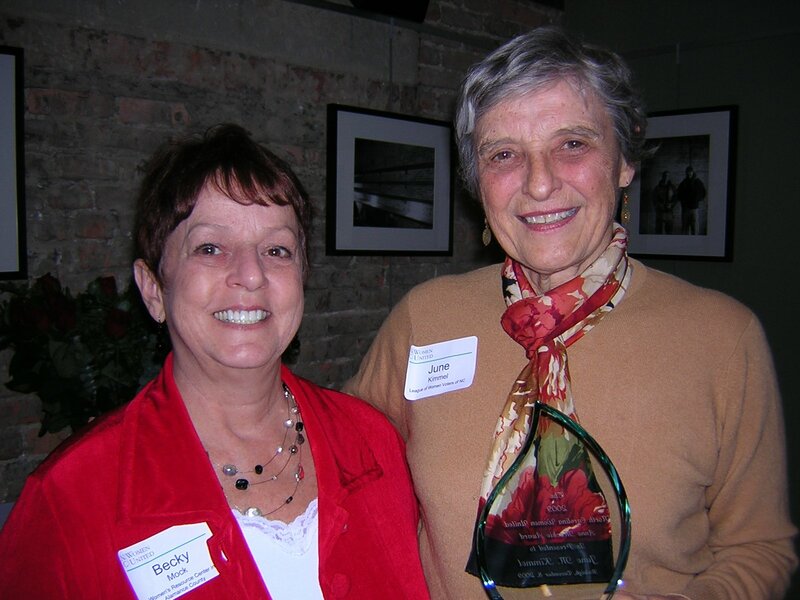 Becky Mock nominated June Kimmel for the 2009 Anne Mackie Award. Nancy Shoemaker served on the event committee. She is shown here with June. Mari Pino and Nancy are also serving on the NC Women United board. For more about the event and the award, see www.ncwu.org. An additional note — NCWU sponsors the NC Women’s Agenda Assemblies, and that project will be starting shortly after the new year. If you are in a community that would benefit from a gathering of women to educate themselves on public policy issues that will come before the NC General Assembly in 2011, consider helping to organize one of the Agenda Assemblies in the fall of 2010. Also, watch for the call for issue papers that will be distributed to the Agenda Assembly organizers. Those papers are generally prepared in the summer. If there’s an issue you’d like to get in front of women across the state, start thinking about it now!